Jorge Lorenzo opened his winning box with Ducati on the asphalt of Mugello. After several racing races in which he had led without finishing, the Mallorcan received several updates for his Desmosedici -including an appendix for the deposit that has given him an important plus for the second half of the race- and led all the laps to take the triumph. Two weeks later, in Barcelona, he also crossed the finish line in the first position. Thanks to these results, #99 will face the Grand Prix of the Netherlands with great motivation. He recognizes that Assen is a difficult track, both for him and for his GP18, but if he managed to win again he would equal a record of Casey Stoner: the Australian is the only rider capable of winning three consecutive races on the back of a Ducati. He did it twice: in 2007 and 2008. 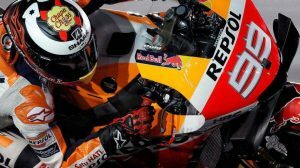 Jorge Lorenzo is positive, although he is aware of the difficulties, taking into account the state of shape of Marc Márquez. 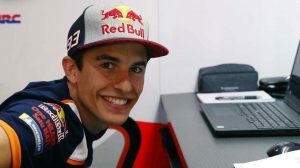 “You can win on circuits that are not so favorable for the Ducati, but it’s always difficult, today, in a positive circuit for us and after having dominated the whole weekend, if I had not continued pushing until the end, Márquez would have picked me up and we would not have won, and when it seemed like a very favorable situation for us, Marc Márquez was there until the end, “he said in Montmeló. We must also take into account the bad statistics of the five-time world champion in the Netherlands. Since joining MotoGP he has finished outside the top ten a couple of times and his last victory dates back to 2010. He has not been on the podium since 2015. 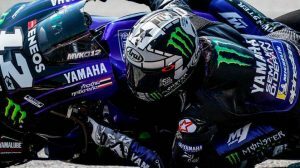 If equaling the Stoner record is a task that demands the best version of Jorge Lorenzo, overcoming it would reveal that he lives one of his best moments as a rider. Because I would have to win at Sachsenring, the most twisted track of the calendar. The circuit in which the most maneuverable and agile bikes, like Honda and Suzuki, start as clear favorites.